News of Isa Bakar's demise received this morning from another ex-international, C. Nadarajah, was shocking, for I had met the former, only three weeks ago at the Royal Selangor Club in Bukit Kiara. Isa was at RSC for the Under-12 7's international and Tiger international veteran 7s and he looked healthy and was his usual bubbly self. I briefly exchanged greetings with him and enquired how he was and gave his standard reply : "Macam biasa (like usual)." Isa had come to Kuala Lumpur to lend support to the Penang teams competing in the RSC tournament and also to catch up with his ex-teammates in the national team. And Isa spotting a pony tail, was certainly not disappointed because many of his former teammates and friends were there. They included Datuk Soh Chin Aun, Santokh Singh, Wong Choon Wah, Datuk M. Karathu, Khasim Abdullah, Abdah Alif, Radzali Embi ,V. Kalimuthu and Vincent Thambirajah. Infact, FA of Malaysia deputy president, Tengku Mahkota of Pahang, Tengku Abdullah, who was the Royal guest of honour for the RSC event, spent time taking to Isa for a few minutes. But sadly, Isa missed an opportunity to have a photograph taken with Tengku Mahkota, who had requested for all the ex-internationals present to take a photo taken with him. Isa arrived moments after the photograph taken. Below was the photograph taken with the ex-internationals. Below is an article written today by NST's K. Kandiah on the passing away of Isa Bakar. Indeed, another soccer legend has left us and will always be remembered for the golden memories given to Malaysian soccer. 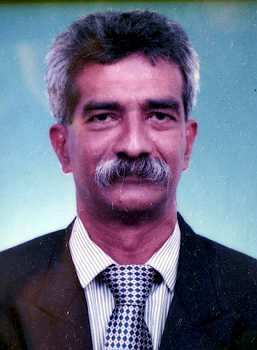 May Isa rest in peace and deepest condolences and sympathy to his family. 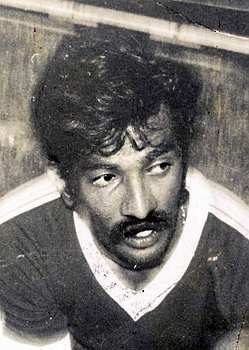 GEORGE TOWN: Soccer ace Isa Bakar, who represented the country from 1974 to 1979, died at the Penang Hospital due to illness yesterday at about 9.30am and was laid to rest at the Jalan Perak Muslim Cemetery after prayers at the Masjid Hashim Yahaya on the same day. The 58-year-old star is survived by wife Mazlina Md Ismail, 49, and four children aged between 16 and 22. Isa was in the squad which won the bronze medal at the 1974 Teheran Asian Games, which was the only time ever that Malaysia had won a medal in soccer, and he was in the squad that won the gold medal at the 1977 Sea Games where Malaysia thrashed Burma (now known as Myanmar) 8-1. 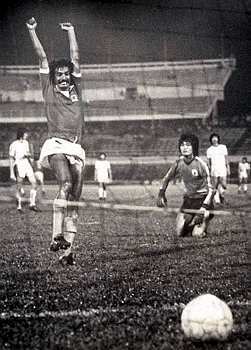 The lanky player was also in the Penang team that last won the Malaysia Cup in 1974. Former national skipper Datuk Soh Chin Aun, who paid his last respect at the late Isa's home, said Isa was a real role model for the 1Malaysia concept as he never cared for race or religion when it comes to befriending people. He said Isa gave his best at every game and partnering the late Mokhtar Dahari, they made the best combination in the five years Isa represented the country and added that the lanky Penangite was a very happy go lucky guy but once in the field he was serious in his game. "He called me yesterday (Friday) morning to tell me that he was admitted to hospital for vomiting blood. "This morning (Saturday) at about 8.30 I sent him a SMS to enquire about his health as I wanted to visit him and about 10 minutes later he called back to say that he was fine," he told Timesport at Isa's home in Sungai Ara yesterday. Chin Aun, who was popularly known as `towkay' in the soccer, fraternity said he was shocked when Datuk Mohd Junid Mohd Noor, the former Penang FA secretary, called him at about 10.15am to say that Isa had passed away. Another ex-international and teammate Abdul Shukor Salleh said it was very difficult to find a person like Isa as he was a very jovial person who can keep everyone laughing all the time but as a player he was very disciplined, though outside he was not. Ex-teammate and a very close friend, teary eyed N. Baskaran, who played along side Isa for more than 10 years, said it will be very difficult to find a friend like Isa. Former Penang FA secretary Datuk Mohd Junid Mohd Noor said Isa was one of a kind who never say no when approached for help by anyone and will go out of the way to help people and that is one main reason that this wonderful man died painlessly and moreover, in the holy month of Ramadhan. Junid said: "This is the gift of God to a nice person." C. Nadarajah added that Isa was up and about this morning and even to a shop outside the hospital to have breakfast. "But when he returned after breakfast, he started vomiting and passed away. It is really shocking," said Nadarajah. Enough of all the negative publicities on the Delhi Commonwealth Games and let the Organisers prove their worth and make the Games the “Best Games Ever”. From fast acquiring the taint of the most corrupt Games ever, poor administration, budgets that have exceeded several times over, endless delays in executing projects, delays in delivery of venues and infrastructure, delays in the stadiums being fully ready with overlays in place, time constraints for thorough security clearance, the monsoon creating havoc to bring down venues and exposing weaknesses in brand new stadias and the list goes on has been the talk of the Games. All this is something India does not need when it is trying to portray to the world of what it is capable of. But it is excess baggage it has to carry long for the Games. However, with just 38 days left for the Games, enough is enough and let us give a fair chance for the organisers to try and correct all the wrongs, put what is not in place, in place, get their act together and put in every ounce of energy to get the Games all ready for action come Oct 3 for the 12 days sporting extravaganza. Infact, it is less than 38 days, because by Sept 15, everything needs to be ready and raring to go. The biggest question on everyone’s mind is, whether everything will be ready? In the three-and-half months I was with the Organising Committee Commonwealth Games 2010 Delhi as Director (Press Operations), I have seen what India is capable of. I have seen how things have progressed over the period. Although all should have been ready much earlier, work was certainly going on at feverish pace to meet new deadlines. While still deadlines have not been meant, I strongly believe everything will be ready in the next two or three weeks. My confidence stems from what I had witnessed of the brand new Indira Gandhi International Airport (Terminal 3) which was inaugurated on July 15. Less than a month before the inauguration, I had the rare privilege of being part of team from the OC to visit the airport, where we were given a full briefing and tour of the airport. What we witnessed was that the airport was far from ready and certainly did not look that it will be for the inauguration on July 15. When I flew out from Delhi from this state-of-art airport on Aug 2, I was shocked and in disbelief. The same building which I and many in the group from OC had doubts will be ready, was not only fully operational, but a sight to behold. I could clearly remember when I visited the airport in June were debris strewed all over, the wires hanging from all corners, the toilets not ready, the flooring was not fully carpeted, the air conditioning was not fully functional, the lighting system was far from complete, travelators were still not in place, the overlays had hardly began, workers all over the airport working at feverish pace and in short the airport was far from ready or looked like it is going to be in a month. My first impression when I saw the fully operational airport when I departed Delhi was that someone came down and waved his magic wand and everything was put in place. Indeed, it was an incredible sight because the airport was magnificent without a single flaw. And that is what India in capable of – achieving what looks impossible. Thus, I have no doubts that all the venues will be ready for the Games. My only concern is that some of the venues which will be completed at the eleventh hour, will not have the benefit of being fully being tested and hopefully nothing untoward happens to the venues during the Games. My the concern is the security measures taken for the Games may turn out to be a nuisance and inconvenience to all – from the athletes, officials, media personnel, spectators to the visitors. I understand fully the need for such tight security, but like it or not, it is going to stick out like a sour thumb and many will be grumbling. But this is India and you just have to live with it. A great deal of patience and tolerance will be required and without that, tempers are going to be flaring up in every nook and corner. And if the athletes think they can experience India after their events by visiting places or shopping, they can forget about it. All they will see in India will be the airport, the Games Village, the dedicated roads their buses will take to the venues, their respective venues, before they board their flight back home. An organised train trip to Agra is in place for athletes and officials and if they are lucky, they can probably experience this. The Games will happen and there will definitely be memorable moments created by the athletes in the different events. Never mind many top athletes have withdrawn. The show will still go on and there are enough reputable athletes to still make the Games exciting and memorable. The Indian athletes will be play a big role to ensure that the Games is a success by dishing out credible performances and if their total medal tally pushes India from their fourth best to third, everything else will be forgotten. Sport is often held up as a prime example of something that can unite people from the most diverse backgrounds. It’s an activity that makes the usually divisive factors of geography and history irrelevant. And that is something India will be banking on to make Games a success. This is the beauty of sports. All the controversies and negative reports will all take a back seat when the athletes make the Games happen! It will be the performances of the athletes which will overshadow all the negativeness. The ecstasies, agonies, the tears of joy or failure, the stories behind a success, the heartbreaking stories and anything the athletes have to say about their success or failure, will leave unforgettable memories. So for now, let India prepare for their moment of glory. But the officials, who had brought so much disgrace to India before the Games, should not be allowed to bask in the glory, but taken to task and made to pay the price for their follies when the Games is over. If you still have doubt that India will not pull through the Commonwealth Games, please be reminded that this is INCREDIBLE INDIA! Everything is possible and they are definitely more than capable of delivering the Games. I will not be posting any more negative reports from the Indian newspapers or televisions, as a mark of respect for what India is capable of. I am sad that I will not be there to personally witness the moments of glory during Games, for the short period I worked with them, I have become so much a part of them and feel for them to make this Games a success. All the very best and I am very sure there will be many success stories India will bask in at the end of the Games to erase all the humility they have faced thus far. "I am still the boss of the Commonwealth Games", embattled Organising Committee Chairman Suresh Kalmadi insists, while making it clear that he is not a quitter and the spate of corruption allegations will not force him to step down at this stage. CWG Organising Committee chairman Suresh Kalmadi (right) and Commonwealth Games Delhi brand ambassador Abhinav Bindra at a press conference in New Delhi on Tuesday. Kalmadi said delivering a good Games was a challenge he has taken up and there was no question of resigning from the post as he had done nothing wrong. He also sought to scotch the perception that his wings have been clipped in the wake of the corruption scandals. Asked specifically whether he was still the boss of the Commonwealth Games after the government set up an empowered committee of bureaucrats, Kalmadi said, "Yes. Organising the Games is my responsibility. I am continuing with it." "Group of Ministers was there. The committee of secretaries under Cabinet Secretary was always there. The Prime Minister had a meeting and he has asked all these committees to get more active and give more support. I am getting more support from government and I am the OC chairman," Kalmadi told PTI in an interview here today. "CGF chief Michael Fennell had come and he had given a good report. So I welcome all this because of the circumstances," he said. The build-up to the October 3-14 Games has been marred by a series of corruption scandals and construction delays but Kalmadi said things were now under control and his team was capable of delivering a "good and transparent" Games. "I don't know why all these campaigns started. Everything was smooth till the last 15 days or so. All the foreign countries are saying there will be a good Games. I am ready to face any inquiry after the Games," he said. "Our reputation is at stake and after all these years of hard work I don't want to go down in this manner. That is why I want this inquiry," Kalmadi pointed out. Asked whether the thought of resignation had crossed his mind in the wake of these allegations, he said, "No. This is a challenge I have taken up. I had promised the CGF when we won the bid that I will deliver a good Games. So there is no question of any such thought." Kalmadi admitted that he had a tough time in lifting the morale of his team after the alleged corruption scandals came out in the media. "It was not so much a distraction for me but it was for my staff. I have to keep up the morale of my staff, definitely I had a tough time on that," he said. "Naturally I have to see that the morale of my staff is OK. I have to see that this does not happen again. I have to put them on track. I have addressed them and told them to go ahead without worry," he added. .
On whether the negative publicity that the Games have got was part of a bigger political game masterminded by his own party colleagues, Kalmadi said, "I don't want to say anything, let them say. I don't want to respond. I will ensure the Games go off well. "The PM has supported us to a great extent. So no worry on the count that we will deliver the Games. We are focused now. Next one month I will be fully focused and I am not distracted," he said. Asked if too much work was left for the last minute considering the bid was won in 2003, Kalmadi said, "Initially the question of sanction was there. You have to get certificates to start work. You have to go to the MCD, NDMC and various agencies. Then there were environmental issues and finally somebody went to court. All these processes took time. "Infrastructure, we have got a little late but now everything is under control. For overlays, we have less time. We are racing against time in overlays but we will do it," he said. Kalmadi refused to take any responsibility for the scandals that have rocked the Games, saying his job was to deliver a good Games. "I have to deliver the Games and I am doing that. That is my most important responsibility. After that there is the inquiry and let us see who has done what. Let us see. "All the allegations are exaggerated like Rs 4000 for toilet paper. Is it possible? These are all wild allegations... we will see after the inquiry. We will give all the things (for inquiry). I am sure all charges will be proved wild charges," he asserted. On whether India's future bids for mega events like Olympics and Asian Games would be affected in the light of the controversies, Kalmadi said "it is normal for every Games to have some charges or the other". "When we bid there is euphoria. There is disenchantment when the reality sets in. Then there is search for the guilty. It is the pattern for every Games. Then there is persecution of the innocent and finally there is successful Games and glorification of the uninvolved. This is the pattern everywhere," Kalmadi said. He said the OC will try to get the people of Delhi involved in the Games. "Next one month will be focused on Delhi. Delhi government is doing its bit, we are doing our bit. My message is have faith and trust in us. 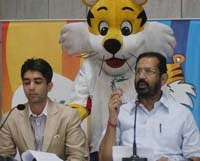 We will give a good Games and a very transparent Games," Kalmadi said. 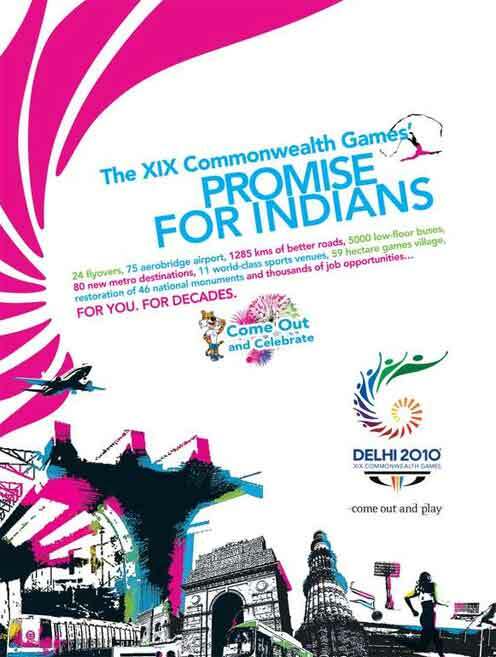 New Delhi, Aug 23 (UNI) The Commonwealth Games Federation (CGF) today rubbished allegations of impropriety in relation to the appointment of consultants for the 2010 Delhi Games. In a strongly worded statement CGF said that its officers act with the utmost integrity, objectivity and accountability in everything they do. The CGF has a zero tolerance approach to corrupt practices or improper conduct of any kind. The recent allegations are not only unfounded and damaging to the Federation and the individuals against whom they have been directed, but also, unfortunately, to the reputation of the Games themselves. 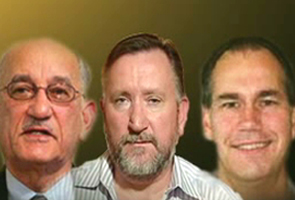 The allegations of impropriety centre around the award of contracts to consultants. Recent coverage has focused on the contracts with Sports Marketing and Management (SMAM), Fast Track and Event Knowledge Services (EKS) to provide marketing, sponsorship, broadcasting and technical services to the Organising Committee (OC). ''The CGF emphatically denies any wrongdoing by the Federation or its officers in connection with the award of these contracts,'' the statement added. ''The CGF stands by the recommendations that it has made. It is for the OC to appoint consultants, and to ensure that the selection follows proper process and is in accordance with Indian law. ''The CGF has nothing to hide, and would fully support a formal investigation into the appointments in question by the appropriate Indian authorities. The statement asserted that the CGF and its officers reserve their rights to take such further action as they consider appropriate in relation to the misleading and unfounded allegations. For now, however, the Federation remains focused on, and committed to, working with all parties, in an open and transparent way, to make the Games a success, and urges all others to do the same. New Delhi: Commonwealth Games Organising Committee has decided to put in place a five-tier transport system during the October 3-14 mega-event to be held here. The elaborate transport network, to be used by the 7500 athletes, officials, referees and mediapersons throughout the multi-sport event, would be jointly managed by Delhi Transport Corporation and car manufacturer Tata Motors, which has been roped in by the Organising Committee. "Transport is the backbone of the Games and we have to put in place a huge network of transport comprising buses and cars," OC Secretary General Lalit Bhanot told a press conference. T1 category would have a fleet of dedicated cars which will be used by the top level officials including Commonwealth Games Federation chief Mike Fennell, while under T2 category on-call car service would be operational on the days of the Games. There will be 485 and 1000 cars, to be supplied by the Tata Motors, under the T1 and T2 categories respectively, OC Deputy Director General (Transport) Ashish Kumar said. The T3 and T4 categories would consist of fully air-conditioned buses from DTC. Under T3, 349 buses would be used to ferry the athletes to and from all the venues on the days, including the days of opening and closing ceremonies, and 25 routes have already been identified for the purpose. Commutation of mediapersons and the technical officials would fall under the T4 category which has 225 buses. "All the CWG buses would be exempted from using the speed governors during the Games. We approached the authorities concerned regarding this and they have agreed," OC Special Director General G G Thomas, who was also present on the occasion, said. "We will have enough provisions to handle any untoward incidents like car breakdown. Besides, all the drivers have been given instructions about what to do in case of any eventuality, including a terror attack," he added. Other public transports, including DTC and the special metro services would come under the last category. All the drivers would be given communication radio sets, while every car would be fitted with Global Positioning System (GPS) by which their movements could be tracked. Besides, a 24X7 call centre would be set up to help the riders and it will work in tandem with Transport Operation Centre to be based at the OC Headquarters. Tata has signed an agreement with the OC and the total cost of the service would be Rs. 34 crore. Out of that the OC will reimburse Rs. 10 crore in lieu of drivers' salary, fuel and management while the rest would be raised through sponsorship. "We have already conducted a few rounds of trials and more would be done in the coming days to make the entire arrangement glitch-free," Kumar said. 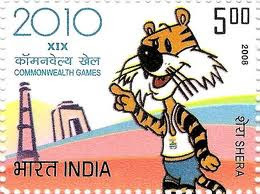 New Delhi: The by-now daily financial scandals around the Commonwealth Games 2010 make those in charge of organizing them - both at home and at the Games' international headquarters - look like Frequent Fliers of a Corrupt Executive Class. Equally damaging is the intransigent evidence - incomplete venues, those that are ready often flooded in the Delhi monsoon - of broad-based mismanagement. The big question now is given that the venues aren't finished, how can security checks begin? A range of terrorist groups have warned foreign tourists and athletes not to attend the Delhi Games. Sources in the Ministry of Home Affairs- in charge of handling the security for the Games - tell NDTV that at least 90 days are needed to coordinate and test security gadgets and systems at stadia. Instead, a 14-day dry run will take place. A company named Electronic Corporation of India Limited (ECIL) was hired to install security devices at the different venues, which includes the athletes' village. However, at the Jawaharlal Nehru stadium, for example, which is the location of the Opening Ceremony, a wall around the stadium has yet to be completed. That means security cameras, sensors, and a required Intrusion Detection System have not been installed or tested yet. Metal detectors that spectators will walk through have not been set up yet. So, an Australian company has been hired by the Commonwealth Games Federation (CGF) to review the security. The company will come to Delhi in first week of September to audit security systems. This is a private company that has been visiting every three months for security audits of Games' venues. The Delhi Police has told the government and the Games' Organizing Committee that 7500 members will handle the security for the Games. But security experts say the Delhi Police is not trained in counter-terrorism. One of the staunchest critics of the Commonwealth Games, senior Congress leader Manishankar Aiyar says he will be "hell out of the country" during the October event as he is in no mood to witness it. "I am hell out of the country for these two weeks, since I do no want to witness the games," Aiyar told PTI. Speaking after attending the marriage of former Union Minister Shashi Tharoor at Elavanchery near Palakkad, Aiyar stuck to his stand that it was premature for India to conduct such big games. "The money being spent on the games could have been utilised for developing infrastructure in rural areas and for training sports persons in various disciplines to make India a strong sporting nation," he said. By doing this, at least in 10-15 years India can become another China and win a good number of medals in international sporting events, Aiyar said. Aiyar recently created a furore by saying he would be unhappy if the Commonwealth Games are a success and that only "evil" will patronise them. His comments had drawn sharp criticism from his own party colleague Suresh Kalmadi, also the chairman of the Games Organising Committee, and the Opposition BJP. Aiyar, the former Union Sports Minister, who has also raised the issue of corruption in the conduct of CWG, said he was happy after the statements of Prime Minister Manmohan Singh and Congress President Sonia Gandhi promising severe action against those involved in corrupt practices. Aiyar said he had been insisting for the last four years that the government take charge of the games and added that he was happy that the Centre had at least now appointed a 12-member panel to oversee the games. "Let us wait till the investigation is complete," he said. On reports about utilising Army free of cost to man the stadia, Aiyar expressed hope that being a senior minister Defence Minister A K Antony would take an appropriate decision on it. claims to work with stars including Elton John and Rihanna charged inflated prices for items such as tissue papers and liquid soap dispensers at the Games venues. "ES Group is part of a consortium accused of charging inflated prices for supplying items to the games," the newspaper reported. "The company and its partners charged organisers 64 pounds each for 360 tissue paper dispensers. Comparable items were available for just 9 pounds from another games supplier. It supplied 176 rubbish bins at 104 pounds each, compared with the 16 pounds charged by another group. And the 20 sinks it supplied each cost – at 501 pounds a time – more than double those provided by a rival," the report claimed. The newspaper claimed that four groups were selected to do the overlays at the stadiums. "ES Group won a 20 million pound contract under the name ESAJV D Art Indo, covering three venues, a temporary stadium for the rugby and 18 training facilities," the report said. When contacted, the company refused to react citing confidentiality clauses in its contract with OC. "As is the case with all major international sporting events, the Delhi Organising Committee has imposed very strict confidentiality clauses in the contracts. For this reason we are unable to discuss the terms of our agreement," Liz Madden, the company's head of sales and marketing, said. The report added: "It remains unclear how the company was able to convince organisers to pay 129 pounds for each of the 480 liquid soap dispensers it supplied, despite the Swiss group Nussli charging just 2.57 pounds for comparable items for its three groups of venues. The soap dispensers alone earned ES 61,920 pounds." New Delhi: The allegations of mammoth corruption in the run-up to the Commonwealth Games are steadily scaling up to some of the senior-most men involved with organizing the event. It now seems Commonwealth Games Federation (CGF) President Mike Fennell and CEO Hooper pushed for contract for EKS. NDTV has learnt that Hooper 'recommended' Craig McLatchey's EKS to the Organising Committee. The Organising Committee's Executive Board accepted the recommendation. DDA Vice Chairman Dinesh Rai is said to have raised concerns over the Rs. 29 cores deal. Originally from Australia, McLatchey is a resident of Switzerland, and is the sole owner of Event Knowledge Service (EKS), a company hired for 29 crores as a technical consultant for the Games, in partnership with financial consultants Ernst and Young. EKS has in the past worked on the Sydney Olympics and the Melbourne Commonwealth Games. An interim report of the Comptroller and Auditor General of India said the EKS deal was an example of "undue favours." And there certainly seems to have been a culture of financial impropriety, to put it mildly. Last week, NDTV reported that SMAM and EKS had common ground: McLatchey. SMAM or Sports Marketing and Management, owned by Mike Bushell, was in charge of landing sponsors and fat-cat international advertisers. They were expensive, but the Commonwealth Games organizers argued, they were worth it. Both companies had been closely associated with prestigious sporting events like the Sydney Olympics and the Melbourne Commonwealth Games. But the fusillade of allegations led to SMAM losing its contract. The Games' Organizing Committee (OC) said the deal was off because of "non-performance." It was not exaggerating. SMAM had failed to land any corporate advertisers. Those who had signed on were Indian firms who dealt directly with the OC, or Public Sector Units (PSUs), who have now said they're likely to back out as sponsors because of the controversy surrounding the games. Unraveling a complicated trail of ownership, NDTV discovered that McLatchey was also a stake-holder in SMAM. He had also been a member of a coordination committee that was set up to liaise between the Games' international organizers, and those handling the Games in India. At the very least, there seemed to be a serious conflict of interest in McLatchey winning big-bucks deals. McLatchey said, in response to NDTV's report, that he had steered clear of any meetings that could have led to a conflict of interest. He also said that his relationship with Bushell's SMAM was a personal one, and not a business one. "This one F class share is part of the estate planning for Mr Bushell and his wife and was done to facilitate on-going support for Mr and Mrs Bushell's children in the event of the simultaneous death of Mr and Mrs Bushell." McLatchey also emphasised that he had "no business interests or voting or controlling rights in SMAM or in any other company owned by Mr Bushell." The United States became the first country in history to win five gold medals at the World Tenpin Bowling Association World Men's Championships on Saturday, dominating Masters match play at the Dream Bowl Palace in Munich. Team USA's Chris Barnes defeated teammate Patrick Allen, 3-0, to win the gold medal completing a dominating week by the Americans. In all, Team USA took home 11 medals (five gold, two silver and four bronze). "This is something we have been working toward for six months now," Barnes said. "Instead of competing against each other like we do on the PBA Tour, it's nice to come together and really bond as a team. It all came together at a big moment and it feels great." In the gold-medal match, Barnes swept Allen 213-188, 257-236 and 289-212. Barnes started the final game with 10 consecutive strikes before a 9 pin ended his bid for his second 300 game of the tournament. "I kept creeping left a little each shot and that 11th one was pretty good," said Barnes, who shot 300 in the second game of singles qualifying to in the tournament's first event. "It's hard to believe that ball could 9 pin from where I was playing. It was a little inside target but not much." In the semifinals, Team USA's Wes Malott fell to Allen, 3-0, while Barnes took down Korea's Choi Bok-Eum, 3-2. Malott and Choi shared the bronze medal with the semifinal losses. The other U.S. player in the Masters final, Bill O'Neill, entered the event as the top seed after winning the all-events gold medal but lost to No. 16 seed Petteri Salonen of Finland, 3-2, in the opening round. Team USA's Tommy Jones and Rhino Page did not qualify for the Masters. The 2010 WTBA World Men's Championships featured 356 competitors from 65 countries competing for medals in six events - five-player team, trios, doubles, singles, all-events and Masters match play. Team USA took the gold medal in singles, trios, team, all-events and Masters. Sweden was the only other team to win a gold medal as Mathias Arup and Martin Paulsson won the doubles event. Malaysia were among the three Asian countries who were among the medal winners at the championship. The Malaysian team with a change in their line-up gave a spirited performance in the second block of three games this morning in the WTBA World Men's Championship at the Dream Bowl Palace in Munich, but they were still hit with inconsistent performance. National coach Holloway Cheah made a change in the lineup when he replaced Aaron Kong with southpaw and doubles silver medalist Muhamad Nur Aiman and together with teammates Alex Liew, Adrian Ang, Syafiq Ridhwan and Zulmazran Zulkifli, started off their first game in the second block impressively 996 total. Spearheading the team, Adrian drew the first blood with a impressive 246 game, Alex Liew shot 174, Nur Aiman 185, lanky Syafiq Ridhwan reeled 195 and anchorman, Zulmazran Zulkifli scored 196. In the 2nd game, Adrian and Zulmazran blazed the lanes with identical score of 224, while Alex Liew came home with 184, Aiman bowled 189, and Syafiq registered 205 for a 1026 total. In the 3rd and final game, Nur Aiman started off ferociously with five consecutive strikes while Syafiq Ridhwan responded with a turkey. The team was on track for a good standing at the halfway mark, however ran into problems with our open frames when it mattered for a poor ending. Adrian 's woes of non connecting strikes plus 2 split frames saw his hope of making the Masters Finals go up in smoke with a low 166 game. Alex Liew fired a face saving 201 game. Nur Aiman reeled three consecutive opened frames for a 199 while Syafiq Ridhwan stormed home with a respectable 227 game, while a frustrated Zulmazran Zulkifli hit home with a poor 158 game. Team Malaysia ended with a 8th placing with the second squad of teams to bowl and at the end managed to haul themselves from an overnight overall position of 28th to 17th with a grand total of 5854 pinfalls out of 54 countries competing in the Team Event. Five Asian teams finished above Malaysia - Korea (5th), Chinese Taipei (6th), Singapore (8th), UAE (10th) and Hong Kong (15th). Holloway will certainly be taking some stock taking when he returns home prepare for the Asian Championship in Abu Dhabi in October and more importantly for the Asian Games in Guangzhou in November. The Asian Games has been listed as top priority and changes are expected as Holloway attempts to assemble the team available. It was Team USA who won its third consecutive five-player team gold medal, defeating Finland 1,073-1,057 in dramatic fashion. Anchor bowler Tommy Jones locked up the title for the Americans when he struck on the first shot in the final frame to out duel a Finnish team that erased a nearly triple-digit deficit in the final four frames. Jones led the Team USA effort with a 249 game and was followed by Wes Malott (245), Patrick Allen (202), Chris Barnes (194) and Bill O'Neill (183). Finland was led by Mika Koivuniemi with a 245 game and he was joined by Osku Palermaa (217), Joonas Jahi (214), Pasi Uotila (195) and Petteri Salonen (186). "This is what we come here for - to win the team gold medal," Jones said. "Anything less than gold leaves a bitter taste. Winning the team title three times in a row is something we are really proud of." When Jones stepped up in the final frame, he knew he needed to perform after Palermaa struck on his first shot. Jones delivered a perfect strike, which was followed by Palermaa leaving a 4 pin on his next shot. That took the pressure off Jones but he struck anyway to allow the Americans to celebrate another title. "I didn't bowl well all week but for my team to believe in me enough to let me bowl last was a huge honor, and I'm glad I was able to come through for them," Jones said. "We got ahead early and Finland showed a lot of heart battling back. It was a back-and-forth match and both teams put on a great show." The United States advanced to the gold-medal match by defeating Colombia, 1,048-970, in the semifinals, while Finland took down host Germany, 996-941. Team USA struggled at the start against Colombia but pulled away down the stretch as Allen led the team with a 235 game and was followed by Jones (231), O'Neill (212), Malott (197) and Barnes (173). Sixth man Rhino Page did not bowl in the semifinals or final for Team USA but still earned a gold medal because he competed in the second round of qualifying. In all-events, O'Neill earned the gold medal with ease, finishing with a 24-game total of 5,343, an average of 222.6. Barnes took the silver with 5,258, while Korea's Jang Dong-Chul earned the bronze with 5,091. "This is pretty cool, but I don't really think of it as me dominating because I was just out there trying to be my best possible for the team every event," O'Neill said. "Even though I have three gold medals, I'm a little disappointed I didn't bowl better in the team final, but my team was there to pick me up." The top 16 players in the all-events standings advanced to today's Masters match play and Team USA will be represented by four players. In addition to O'Neill and Barnes, Allen made it in fourth place with 5,079, while Malott was seventh with 5,065. Malaysia's best finish in the All-events was Adrian Ang who finished 30th with a grand total of 4901 and an average of 204.21 over 24 games. Other Malaysian finishes were Aiman (32nd), Zulmazran (47th), Shafiq (53rd), Aaron (57th) and Alex (77th) out of 356 bowlers. Name Nation Pins Total Ave.